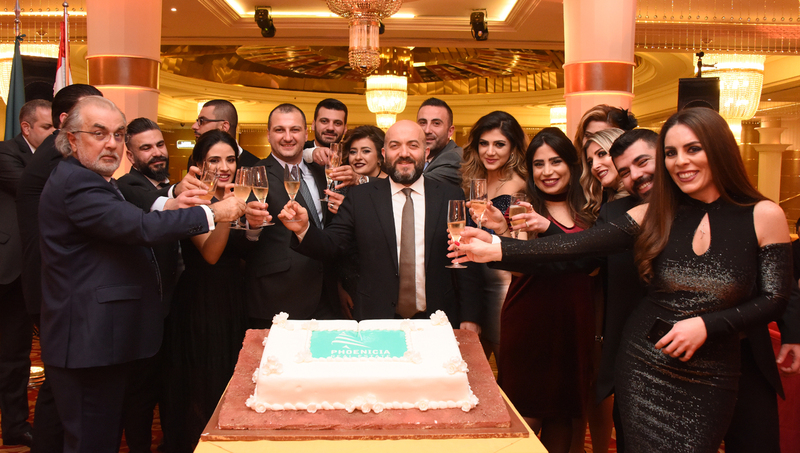 On the occasion of its six year anniversary, Phoenicia Real Estate SARL held its annual dinner at the Casino du Liban on Saturday January 27, 2018 in the presence of the Coordinator of the Lebanese Real Estate Alliance, Honorary President of the Real Estate Syndicate Mr. Massad Fares. During his Speech, Mr. Tony Lahoud, owner of Phoenicia Real Estate, stressed the honest relation between the Seller, the buyer and the broker as the key element to success in the brokerage profession. During his word, Mr. Walid Moussa, President of the Real Estate Syndicate, emphasized the pursuit of the Syndicate to regulate the real estate sector and the real estate brokerage profession by sending a draft law to the Parliament to legalize the profession of real estate consultants. At the end of the event, awards and certificates were delivered to recognize exceptional performances throughout the year.